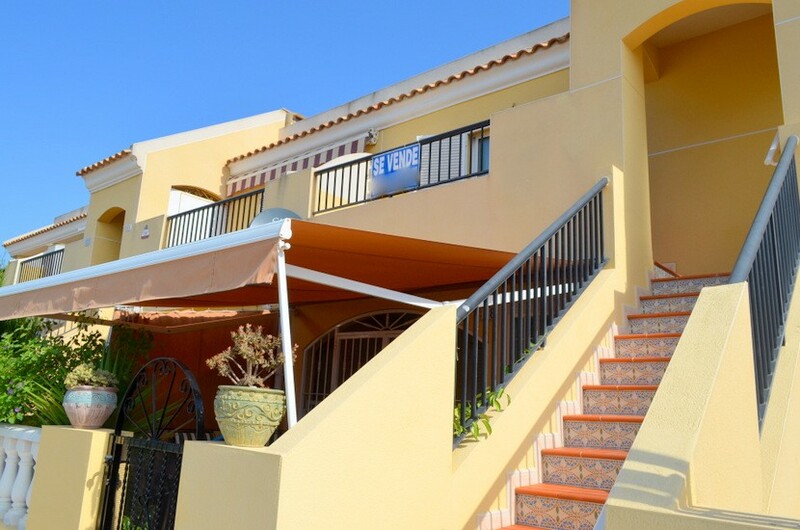 Reduced from €179,995 to €159,995. 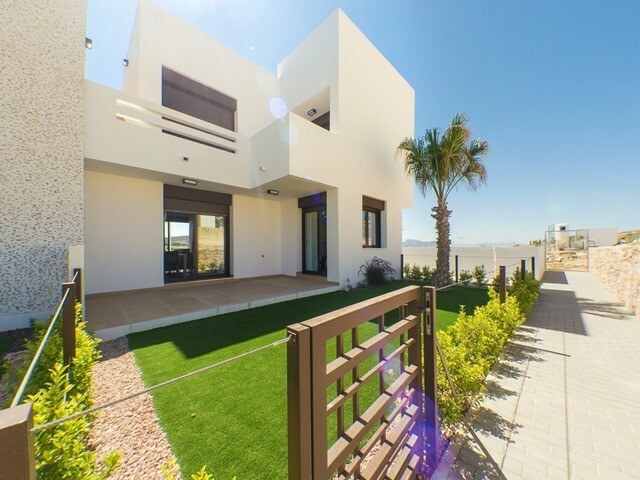 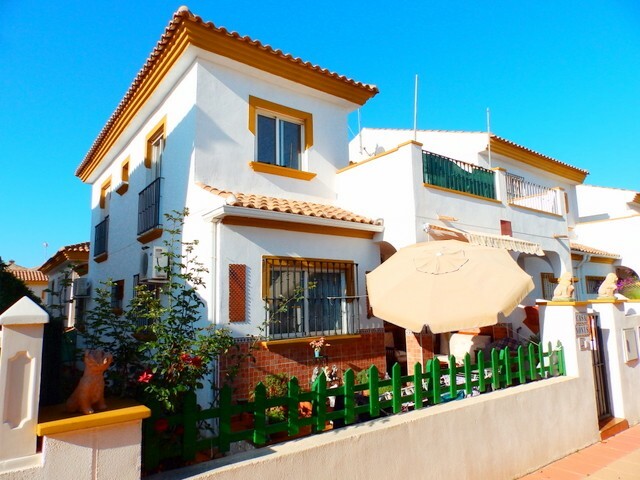 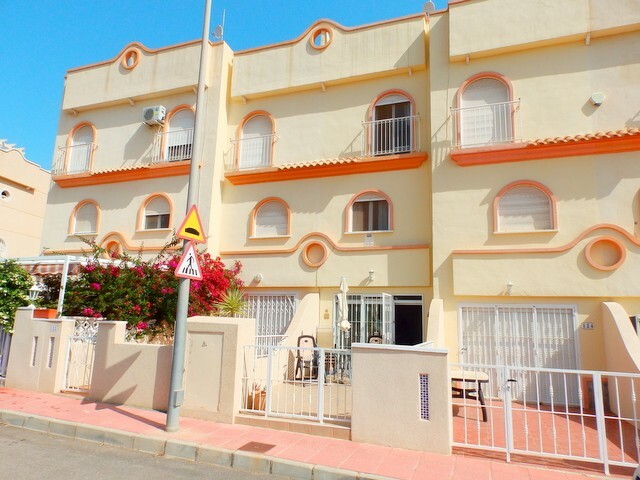 This very well presented 3 bedroom, 2 bathroom detached villa is located in El Galan which is between Villamartin and San Miguel and is within easy reach of all the local amenities, shops, restaurants, beaches and golf courses. 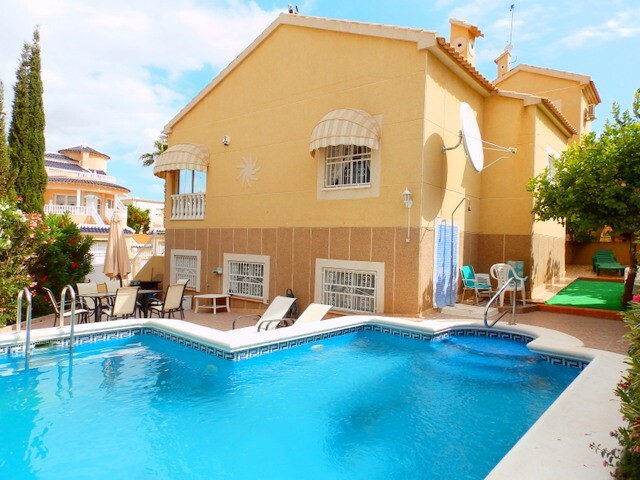 Situated on a small development of only twelve villas this property looks directly over the communal swimming pool and comprises of a large front terrace with off road parking, an entrance hall, a lounge/diner, an American style kitchen, a bathroom and two double bedrooms on the ground level. 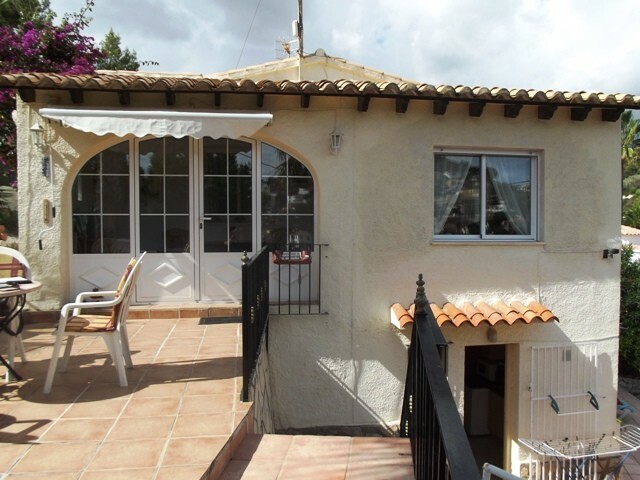 In addition, there is a converted underbuild which comprises of a kitchen, a utility room, a lounge and a double bedroom with en-suite bathroom. 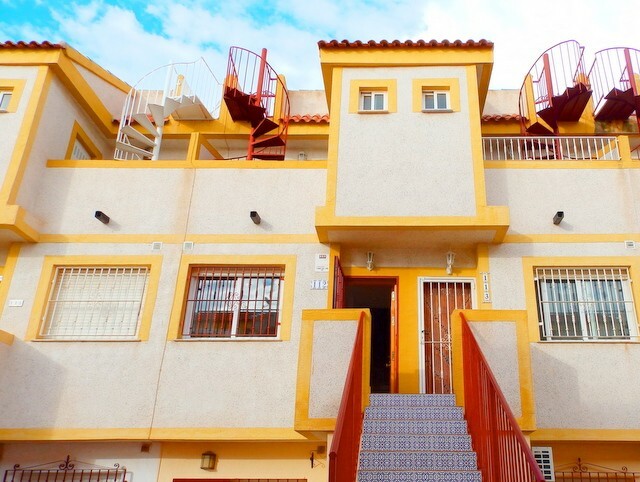 This property is fitted with hot and cold air conditioning and the furniture is negotiable. 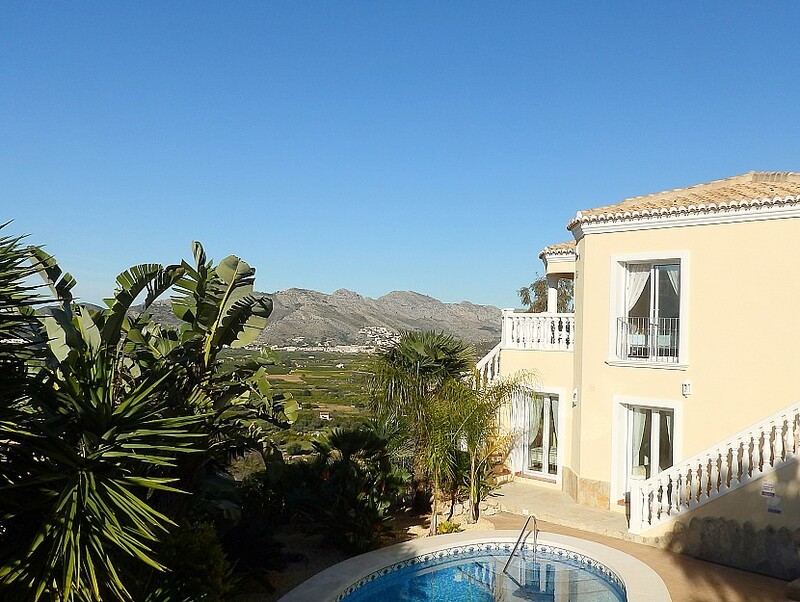 Upstairs there is the master bedroom, a bathroom and a sun terrace.